The yuletides came and left most of us with yulegains. And by that I mean every drop of sweat was matched with an extra calorie from grandma’s sweet potato pie. Rather than skip sweets the cool thing to do now-a-days is to justify drinking eggnog by saying that it fits your macros. Weight Watchers gave birth (not really) to a new powerhouse in the fitness/diet industry – If It Fits Your Macros. 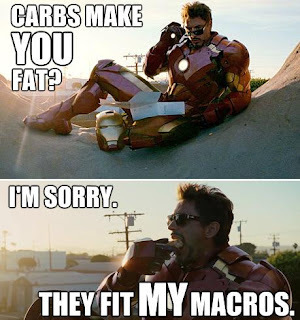 What are macros? How can they fit? Is it a puzzle game that involves eggnog? (I can get behind that). I have the answer to all of those questions. But these questions don’t matter when this diet may do diddly squat for you. 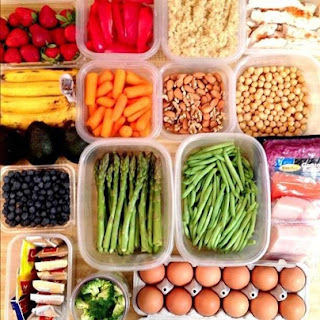 Macros – a.k.a Macronutrients – are the base components of nutrition. When it comes to food they are the biggest lego pieces that make the entire structure. They are Fat, Carbohydrates, and Protein. The theory of IIFYM is that these macros can come from anywhere as long as you hit a strategic combination to reach your goals. For example, if you need 40 grams of carbs you could get them from a donut or you could get them from brown rice. I don’t know about you, but I’m picking a donut over brown rice every single time. I bet you would too. That is one of the reasons why IIFYM is so popular. Years of nutrition research have shown us that certain foods are innately healthy and beneficial, while other foods are traditionally shown to increase risk of disease and mortality. The brown rice, and the donut. 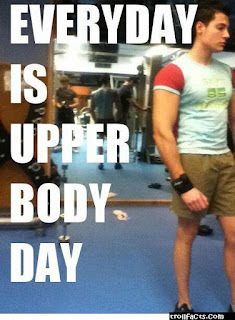 That being said, a lot of people have lost weight, gotten lean, and achieved amazing results using this style of diet. But not all people. Right here you can decide to read this entire, long drawn out sciency post, or you can skip around and read what affects you. Do any of these describe you. New year, new you right? So far you’ve lived off of poptarts and ramen noodles and you’re pretty happy. Your wasteline not so much. It’s time to get off of the couch and start working to improve your health and fitness, but you haven’t exercised since middle school track and walking to the gym makes you out of breath. Then someone tells you that they got a six pack eating donuts and ice cream and you fall on your knees because this has to be heaven. Would IIFYM work for you? Probably not. At first you will lose weight simply because of the calorie deficit associated with diets. But then your metabolism will adapt to this deficit. A lack of lean, calorie burning, muscle mass will result in a less than desirable drop in Basal Metabolic Rate (BMR). A combination of Insulin Resistance (described later in this post) along with other factors will diminish the results seen from a simple calorie decrease and exercise increase. 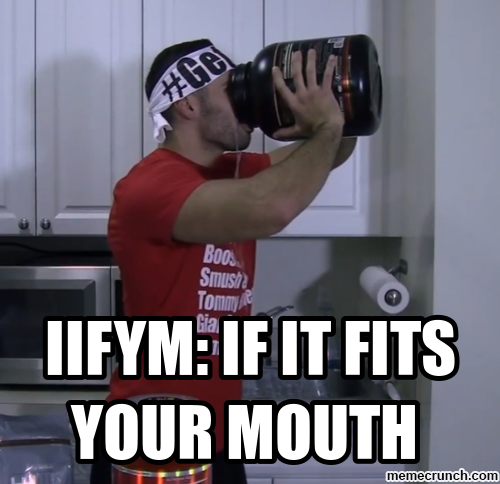 IIFYM is not optimal for you. 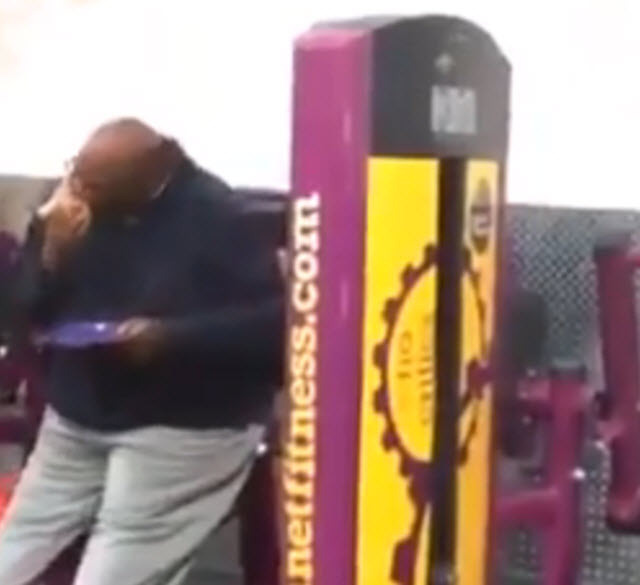 Planet fitness may be your dojo, but pizza hut is your second home. You never miss a cheat meal because, sadly, that’s about 75% of what you eat. As you scroll through Instagram posts you see someone mention IIFYM. They’ve got abs, therefore, they must know what they’re talking about. So you start. It’s the same story in the A group. A lack of muscle mass supersetted with insulin resistance and adipose tissue cause your body to handle foods poorly. You can only remove so many calories before you’re on a starvation diet and no one rebounds from those healthily. 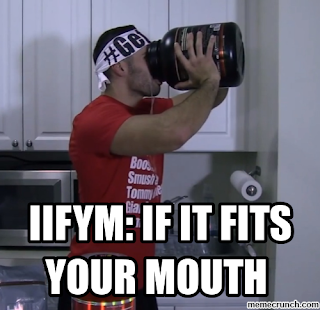 IIFYM is not optimal for you. You’ve got your gallon jug of water, your sweet lifting belt, but for some reason you’re missing one thing – ABS! You’ve outgrown this game of hide and seek with your midsection but you haven’t outgrown your love of cheesecake. So what’s a bro to do? You chat it up with the local bodybuilder and he claims that IIFYM is the way of the future and as a pupil you accept him as your brofessor. A solid base of muscle mass allows you to run at a higher BMR and you challenge yourself physically multiple times a week. Your hormones are in top notch function and you’re not at risk for any kind of diabetes. IIFYM is a possible option for you. I call this the “my little brother named Josh who is always sub 10% body fat even though he eats junk food” effect. If you train your tail off and have a hard time bulking, and perhaps you just have a smidgen of body fat that you’d like gone then guess what, you’ve come to the right place. A solid base of muscle-mass with a healthy hormone and adipose relationship give you a distinct advantage. IIFYM is optimal if not preferred for you. Ontop of why these demographics can/can’t do this diet there are a few issues that should be discussed and handled when talking about this diet. We can find problems with any sort of diet, any kind of training, and just about anything under the sun so it shouldn’t be a surprise that there are flaws in IIFYM. Just to name a few, I’ll discuss 3 problems and potential fixes that don’t include IIFYM ideology. 1) Insulin resistance & sensitivity are not accounted for. If you are a general population individual (aka you don’t already have a high base of fitness) there is a good chance that you have an issue with insulin resistance. Even if you think you are in good shape, but have spent a lot of time consuming high sugar, high fat, and processed foods then you will also have an issue with insulin resistance. What is insulin resistance? To understand that we need to start with insulin. Insulin is a growth hormone that can transport nutrients to body tissue. It is stimulated heavily by sugars (simple carbohydrates). If the body is in a system of stress and anabolism (muscle growth) then that is where the nutrients will go (to the muscle). If the body is in a state of homeostasis then the nutrients will be transported to adipose tissue. The body’s natural response to a flux of insulin and an abundance of adipose growth is to form a resistance to said insulin. Although a lot of this hormone may be produced, the receptors within the cells will become less apt to receive the hormone and therefore the tissue will become resistant. This inability to process insulin changes how the metabolism of carbohydrates goes. This is not only a health problem (precursor to diabetes) but also a weight loss one. It can decrease metabolism as well as reduce the body’s optimal ability to increase muscle mass. The best way to overcome this is a combination of exercise and diet. Not necessarily IIFYM diet. Reducing overall sugar consumption as well as increasing fiber consumption can aid in improving this resistance. What IIFYM doesn’t take into consideration is that most people have built up an insulin resistance. Continuing to feed the body sugary carbohydrates aids in insulin resistance which hampers results. Skip the donuts and stick to high fiber lower carbohydrate foods. One of the best ways to correct insulin resistance is to try a ketogenic diet (high fat high protein low carb). Although that is a drastic choice it is a good option. The next best thing to do is to skip the donut and eat the brown rice or oats. 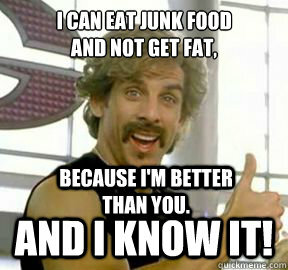 This might be my biggest beef with IIFYM. It’s silly to assume that what we eat is all independent. Think of it like this – if you pour water down a ramp it will flow at a certain speed, if you pour sand down it may flow at another speed, if you mix them it will pour at yet another speed – this is kind of how macronutrients work in our body. Sugar (a carbohydrate) gets a large insulin response, but when mixed with fats or fiber it changes the insulin response as well as the storage of calories (energy). Consuming more fiber with carbohydrates changes how the body responds. Not to mention some carbohydrates are processed at a faster rate in the bloodstream than others. Likewise, some fibers are indigestible carbohydrates that don’t impact the insulin response as much. Insulin isn’t the only anabolic hormone stimulated by the consumption of different foods in different ratios. Ignoring the hormonal component of nutrition is like pretending that your car only needs gasoline to run well. Don’t be ignant. It wasn’t that long ago that several authors concluded that not all calories are created equal. The IIFYM theory is apparently from a parallel universe where that isn’t true anymore. That being said most IIFYM diets require a certain amount of fiber to be consumed per day. This almost forces the participant to eat foods naturally higher in fiber which can offset some of the negative effects. Anecdotally, I will switch to higher fiber carbohydrate sources if I begin to put on weight. It’s a simple cop-out that saves the day. This doesn’t negate the fact that someone can eat frosting for one meal and then 4 hours later eat something fibrous. The fiber does not affect the sugar from the prior meal! Eat more “clean” foods. The idea of clean eating is silly, but everyone has some sort of image of what healthy eating is. We’ve been conditioned to believe that certain foods are healthier than others, and in essence they are. But you can get stupid-fat on clean foods as well. Most clean foods that are carbohydrate based normally contain greater amounts of fiber. Likewise, most clean foods that are protein based will have lower levels of fat in them. The lack of unnecessary calories in combination with the insulin buffering fiber results in a rebalancing of healthy hormonal responses. The better the body responds to hormones the better the metabolism can respond to a reduction in calories or other fluctuations a dieter will put them through. Most nutritionists and exercise professionals will agree that the human body adapts. Our muscles adapt to training. Our nerves adapt to stimuli. But apparently we don’t all agree that the metabolism adapts. For some reason, a lot of people argue that the metabolism doesn’t adjust itself to the stresses put on it. 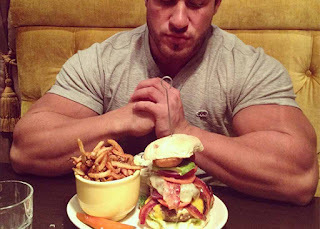 Because of this, a lot of IIFYM coaches will program a continual deficit in their diets. Join me for some drama theatre. Calorie deficits are not the answer to everything. It’s the easy way out. One of the problems with this is that you can only cut out so many calories before there are none left. Anyone who is new to weightloss will respond well to a calorie deficit. However, a lot of people have gone on aggressive calorie deficit diets before, and each time someone does they respond less positively. A negative effect of aggressive calorie deficit dieting (aka starvation dieting) is that the aptitude to gain weight, form new adipose tissue, and store calories as fat faster increases. A lot of research shows that starvation dieters will gain more weight than they lost when returning to a NORMAL diet routine. 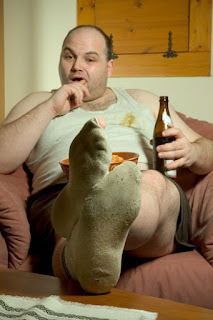 Not that they relapse and eat more (in a lot of cases they do), but that they will get heavier when eating the same amount of calories as before. A bit of metabolism adaptation/damage/death occurs when this deficit strategy is applied. Prior to the deficit the “unadapted metabolism” could handle X amount of carbs and Z amount of calories. After the deficit the metabolism may have an insulin resistance meaning it can only handle X-Y grams of carbs before weight gain, and it can only handle Z-A amount of calories before anabolism occurs. Once a path of weight gain is established the difference in metabolism can exist until a healthy baseline can be re-established. That being said, a genetic adaptation known as epigenetics can occur from a high stress environment (long term starvation). ** One idea is that an epigenetic trigger occurs in starvation altering the way adipose tissue is formed, how the body holds on to calories, and produces hormones. During a starvation diet your body has no idea that 3,000 calories in Ben & Jerry’s is 15 feet away in a refrigerator. It will have massive adaptations to ensure that there will be plenty of fat the next time you suffer through a famine (starvation diet). Thus your metabolism is wrecked and your body fat increases. **The idea of epigenetics actually came from a study done on a famine torn region early in the 1900s. The body wants to be at homeostasis, and when we put ourselves through a calorie deficit it fights to be as efficient with those calories as possible. Efficiency is weightloss death. Cutting 500 calories out of your diet is nonsense when your body adjusts to using 500 less calories per day. The best thing possible is to eat as much as the body needs to SLOWLY lose weight. This includes plenty of carbs, fats, and proteins when doing a general diet. Avoid drastic calorie deficit diets. Cutting an extra 500 calories out of the diet (especially if the metabolism is still wrecked from another deficit) will only make the metabolism problem worse. Hormonal responses to particular nutrients needs to be a primary concern. This means that sneaking that donut into the daily macros won’t do you much good when your body is in high fat storing mode and all of those anabolic hormones take it straight to your adipose tissue. A good dietician can plan for long term fat and weight loss. Sure, people love to lose 20 pounds a month, but is it really worth destroying long term metabolism? Of course not. Why be skinny for a month. Eating properly can make someone who can’t lose weight at 1,000 calories a day to losing weight at 2,000 calories a day – With time and patience. In the end I can’t tell you to not do IIFYM. Some people feel confident enough to say that. I’m not one of those people. There is too much anecdotal evidence on the internet to say that. However, there is way too much empirical evidence to say the opposite is true. The best thing you can do is find out for yourself. Play with the idea a little bit here and there. I’ve always said that if you want to test a diet give it 4 weeks. If you’re not satisfied pick the next thing you want to try. If you hate this post you should totally share it on your facebook or twitter feed. If you love this post you should totally share it on your facebook or twitter feed. If you are indifferent towards this post you should share on your facebook or twitter. Basically I’m saying that you should share this post and let me know what you think! Thanks guyz.